Most of us have read at some time in our lives Anne Frank, The Diary of a Young Girl. We all remember Anne! But do you recall Anne’s older sister Margot? To be honest, I didn’t. 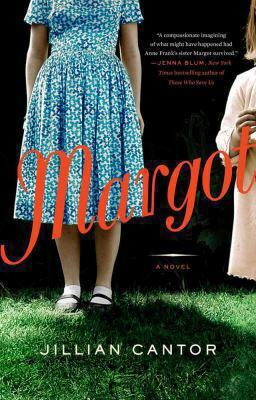 The historical fiction book I read recently titled Margot by Jillian Cantor puts a new twist on Margot Frank’s story as if she did not die in the concentration camp. To cope with her past Margot attempts to recreate herself in America. Margot longs to become someone new, free of her Jewish faith and her tragic history. She calls herself Margie Franklin. She lives in Philadelphia, the city of brotherly love and works for a Jewish law firm. No one knows her history. No one has seen her tattooed arm with her number from the concentration camp. Her true identity remains hidden, under her fabrications and her long sleeve sweater. Margot’s struggle to retain this mask overwhelms her when the diary her sister Anne wrote, while hiding in the attic, is published by her father, Otto Frank and shortly thereafter the movie is released. In the end Margie’s truth is slowly revealed. This well-written book has made me want to reread Anne’s diary and see the movie Margot would have seen in 1959.